Turn on any medical drama on television and you’re likely to see the high-flying life of surgeons. They may be handling life and death decisions at one moment and having wacky workplace hijinks the next. The reality of life as a surgeon is mixed. Yes, surgeons do save lives, but they also face burnout, depression and potential malpractice suits. If you are deciding on a medical specialty, it’s important to consider the pros and cons of being a surgeon. There is a long path to becoming a surgeon. First, you need to complete a bachelor’s degree with outstanding grades. As you finish your bachelor’s degree you need to study for and take your Medical College Admissions Test. From there, you complete four years of medical school, during which you also need to take and pass the United States Medical Licensing Examination. After completing medical school, you’ll need to complete a surgical residency, which takes at least five years. Depending on your specialty, you may want to complete a fellowship after that. During your residency, you will work extremely long hours for low pay. You’ll also need to deal with your student loan debt. According to the Association of Medical Colleges, the medical students graduated with an average of $190,694 in debt as of 2017. In comparison, the average resident makes $57,200 per year, according to a Medscape survey. You do the math on how long it will take you pay off your student debt! The workload of a surgeon is extraordinary. Surgeons typically get up early, check on patients, attend meetings, perform surgeries and then have notes and other paperwork to complete. They may have additional responsibilities such as training new doctors, doing research and writing and publishing papers on their research. This leaves little downtime and makes it difficult to balance life and work. Long hours and the stress of dealing with life and death decisions lead to burnout. According to the Medscape Lifestyle Report 2017, 49 percent of surgeons reported feeling burned out. The study defined burnout as having a lack of enthusiasm about work, a low sense of accomplishment and feeling cynical about their profession. 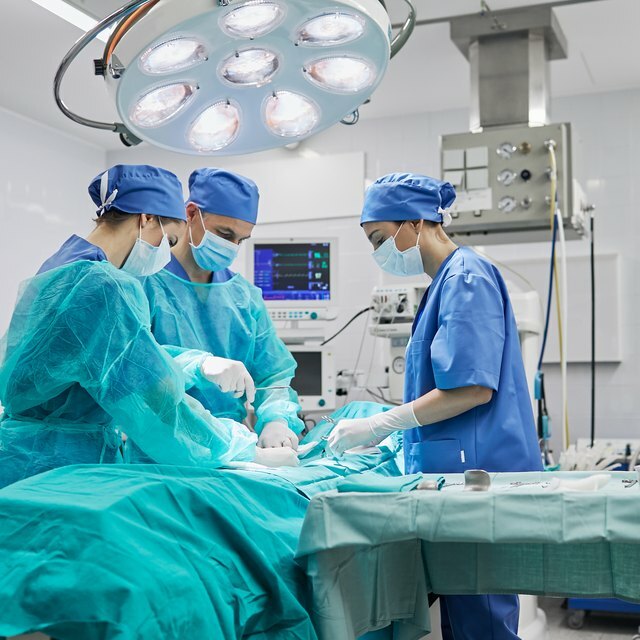 Lawsuits are among the major cons of being a surgeon, since surgeons are among the most likely medical professionals to be sued for malpractice. According to a Medscape survey, 83 percent of general surgeons had been sued at some point in their careers. Malpractice suits are long, expensive and can harm a surgeon’s reputation. Just preparing for a malpractice trial can take 40 hours or more. Malpractice trials can be lengthy, lasting three to five years or more. Malpractice insurance, which surgeons are required to carry, can also be quite expensive. Depending on the state and amount of coverage, malpractice insurance can cost $10,000 per year or more. With all the educational requirements and job stress, it’s understandable that surgeons are paid well. According to government figures, the median annual salary for a general surgeon was $251,890 in 2017, which means half of surgeons earn more and half earn less. Other direct benefits of being a surgeons include health insurance, disability insurance and vacation time. Job growth for physicians and surgeons is expected to be positive as well, with employment growing by 13 percent by 2026. Despite the stresses, many surgeons enjoy their work and wouldn’t consider doing anything else. Surgeons make an impact on people’s lives and health. There’s a sense of immediate gratification in doing a successful surgery. Surgeons are also generally respected by the public as well as by medical peers. They serve others by changing people’s lives for the better. U.S. News and World Report: What is a Surgeon? American College of Surgeons: Why do Surgeons become Surgeons?